If you’re looking to improve your tennis game through swing analysis, Sony is bringing its tennis racket sensor to the U.S. and Canada for about $200. “We’ve had some feedback from users who were able to improve, for instance, their backhand or where the ball hits the racket,” Yoshihiro Nakanishi, a user experience planner at Sony, said in an interview at the firm’s Tokyo headquarters. 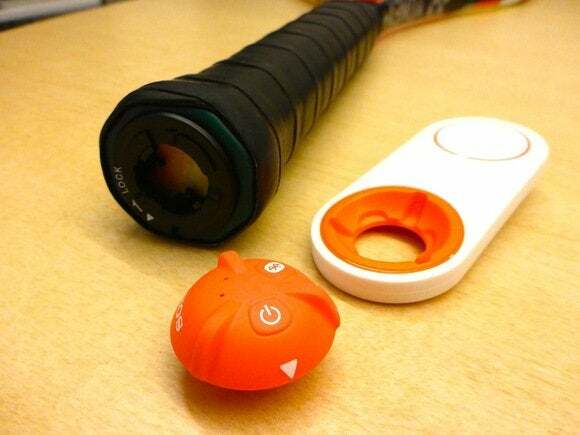 The sensor weighs about 8 grams and measures 31.33 millimeters in diameter, fitting into an attachment that goes in the pop-off cap area at the base of a racket’s handle. Its rechargeable battery lasts about three hours if it’s not tethered to a device. The app can show real-time swing visualizations and metrics such as swing speed and ball spin as well as a map of the ball impact spot on the racket. There’s a social media sharing function too. It’s able to do this because the sensor detects vibrations in addition to the speed and position of the racket. An algorithm that analyzes those vibrations draws upon Sony’s decades of research into the physics of sound. “Sound is a wave through air and vibration is a wave through a solid, and they are basically the same,” Kosei Yamashita, senior sound engineer at Sony’s system R&D group, wrote in an email. Sony’s Smart Tennis Sensor isn’t the first of its kind—French racket maker Babolat has one too but it’s integrated into the racket itself and sells for around $400. An attachment-type tennis sensor from California-based Zepp Labs is slightly lighter though with a bulkier mount than Sony’s and can store data on up to 2,000 shots in its internal memory. It’s priced at $150. 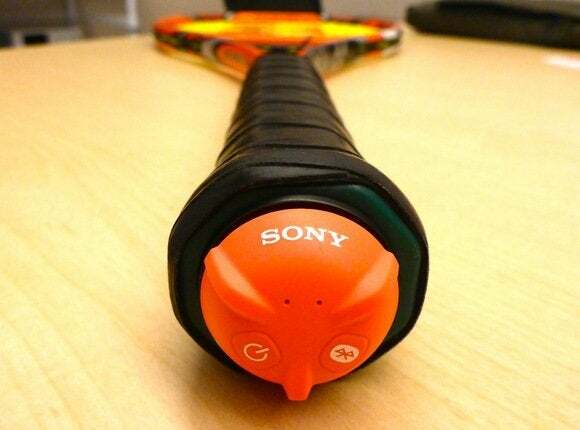 Sony’s $200 sensor can attach to some rackets made by Wilson, Prince and Yonex, with other models expected. It stores data on up to 12,000 swings in its internal memory, according to Sony.